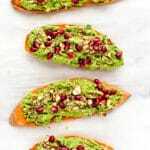 These festive avocado-pomegranate sweet potato toasts make a quick and nourishing vegan breakfast or snack. 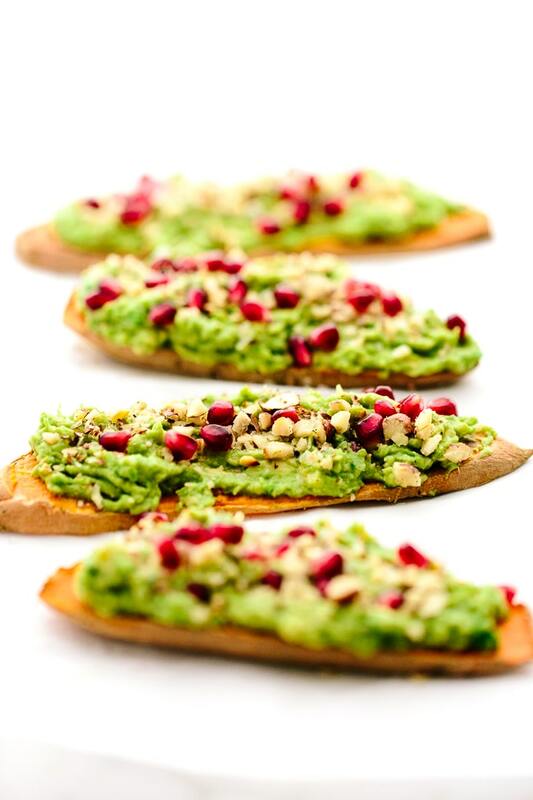 Sweet potato toasts are slathered with mashed avocado and topped with pomegranate seeds and toasted hazelnuts. The finishing touch? A sprinkle of sea salt and spritz of fresh lime juice. It’s currently 3am, and I’ve been up since…ohh, about the time I went to bed, which means I’ve really been up since yesterday morning. I gave the whole sleep thing my best effort tonight but was feeling more creative than sleepy. By 2 a.m., I was tired of resting my eyes and opened up the “recipe ideas” note on my phone. Typically, this lulls me back to sleep within about 30 minutes, but I was still wide awake after an hour of brainstorming. 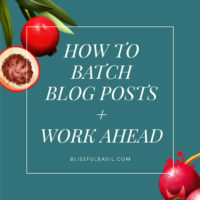 Not long after that, it dawned on me that the photos and recipe for this post were already uploaded and ready to go, so I tip-toed down the hall and into the office. And here I sit writing. The thing is, I’m not really bothered by the sleeplessness tonight, because it makes sense. 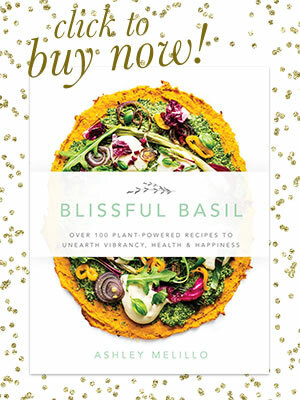 My cookbook will be out in just a week, and I do believe I’ve succumbed to a case of pre-release excitement/jitters. This sleepless combination of inspiration, excitement, and nerves struck me once before. 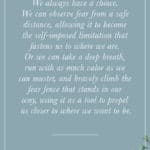 It was the month leading up to our wedding and after nearly two years of planning, effort, and coordination, anticipation took root in a similar fashion. I often hopped out of bed and headed to work early or chipped away on last-minute DIY wedding projects. And in the event that I managed to sleep through the night, bizarre dreams revealed the strange fears of my subconscious. I dreamt that our wedding coincided with the hottest day on record, coming in at a whopping 134ºF. The specificity of the temperature was most definitely thanks to a thorough 4th grade state report I wrote on California. I distinctly remember learning that the hottest air temperature on record was in Death Valley in 1913. And yes, that recorded temp was, you guessed it, 134ºF. Thankfully, no quirky cookbook release dreams yet, but I might be tempting dreaming fate with the confidence of this declaration. Regardless of the sleep, sleeplessness, or strange dreams to come, for now I’ll relish in the unexpected beauty of these pre-cookbook jitters. And I’ll write. I shared a recipe for sweet potato avocado bites nearly three years ago, and it’s remained a tried and true favorite. 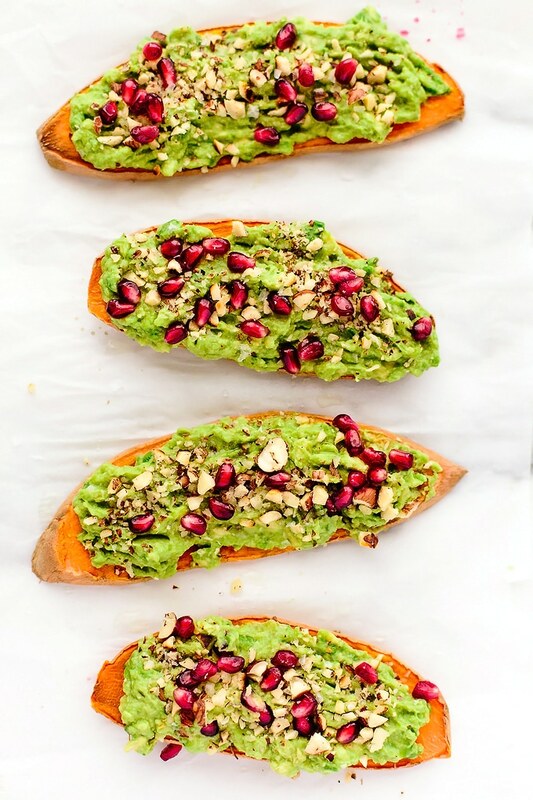 So once this wonderful sweet potato toast trend took hold (inspiration 1 + inspiration 2), I figured it’d be fun to revisit the sweet potato/avocado combination in “toast” form. 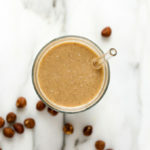 Toasted hazelnuts or shelled hemp seeds. A toaster or oven depending on the method you choose. Slice the sweet potatoes lengthwise into 1/4-inch-thick slices. Toast them for 5 to 10 minutes, or until tender. Alternatively, roast them in the oven for 20 minutes (this approach is most reliable given the variances in toaster’s toasting times). 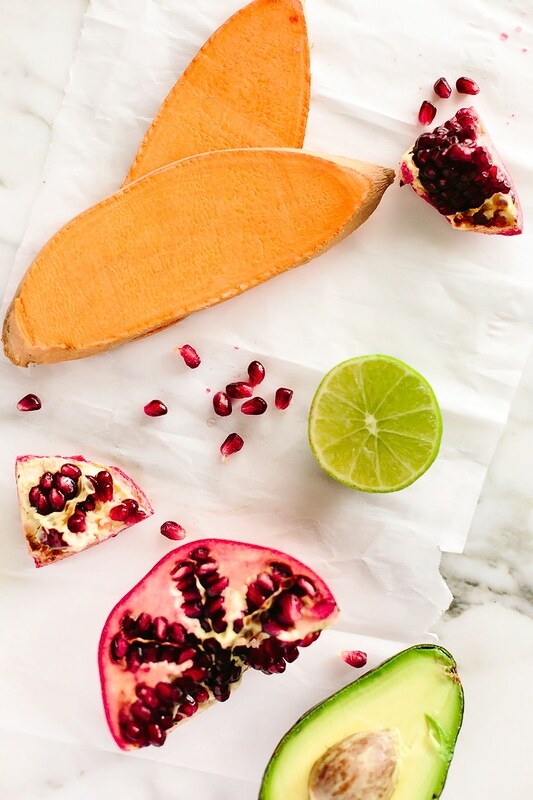 While the sweet potato slices toast, mash a ripe avocado and season it with fresh lime juice and sea salt. Then, chop up some toasted hazelnuts and gather your finest ruby-hued pomegranate seeds. 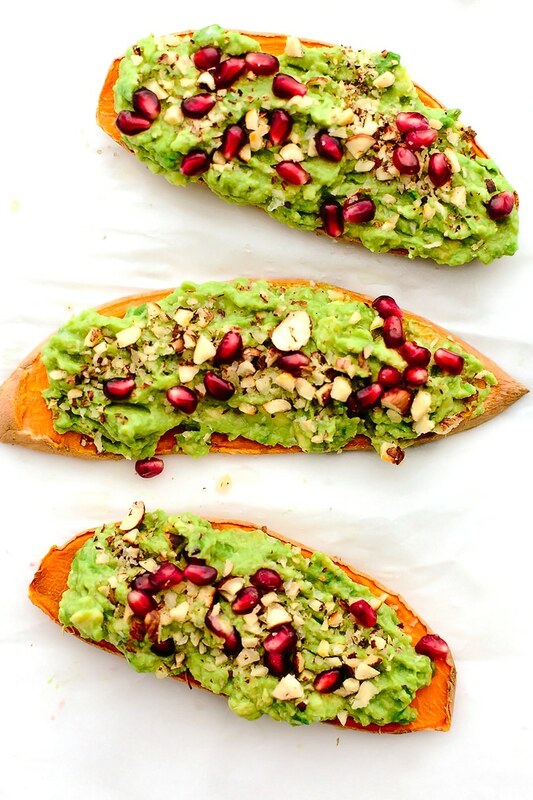 Slather each sweet potato toast with the mashed avocado. Finally, top with the toasted hazelnuts and pomegranate seeds. These sweet potato toasts offer a festive color pairing and are ideal for those in search of a nourishing holiday breakfast. That said, I have grand plans to happily nosh on them well into the new year. Happy toasting. 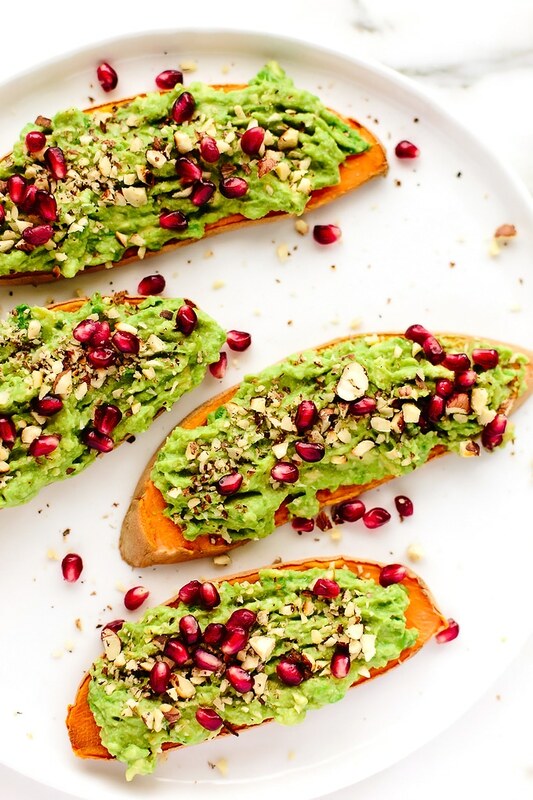 Sweet potato toasts are slathered with mashed avocado and topped with pomegranate seeds and toasted hazelnuts. The finishing touch? A sprinkle of sea salt and spritz of fresh lime juice. Toast the sweet potato slices in a toaster* for 5 to 10 minutes, or until cooked through and firm-tender. You may need to toast multiple times depending on the toasting length for your toaster. While the sweet potato slices toast, add the avocado to a small bowl and use the back of a fork to mash it to desired consistency. Add the lime juice and sea salt, to taste, and gently mash again to incorporate. 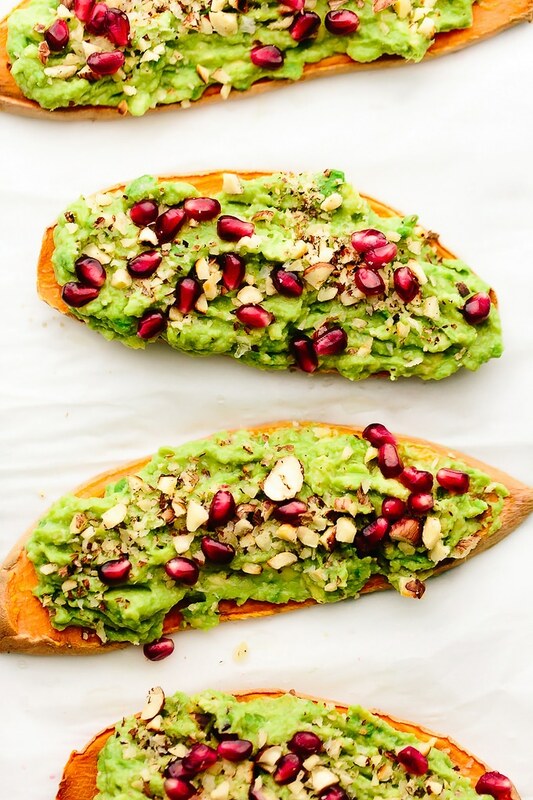 Slather each sweet potato toast with the mashed avocado. 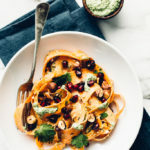 Top with the pomegranate seeds and hazelnuts or hemp seeds (if using). Season with a pinch of sea salt, if desired, and serve immediately. *Depending on the strength and reliability of your toaster, you may want to opt for roasting in the oven. It takes a little longer but yields the most consistent toast/roast! If you opt for this method, preheat the oven to 375F and line a baking tray with parchment paper. Spread the sweet potato slices into a single layer in the pan and bake for 20 to 25 minutes, or until tender. 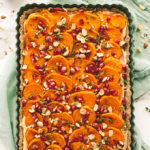 A beautiful way to snack light this season! Love it! I totally feel you on this, I would happily stay awake to write a blog post, but sleep seems to be important too :) Cookbook release is so close, yay!! These look so tasty and simple! and made with my all time favorite ingredients. 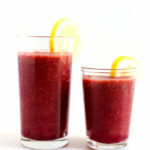 I will be making these this week. Now it’s time for you to get some sleep. Love the new details to your site too! These look amazing! Just found you from your interview with Mark Dillion. Will be trying these soon! This. Looks. So. Good. 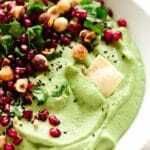 Too bad it’s not avocado season, and any that I would buy today will be unripe…but I’ll buy it anyways and save this recipe for a few days from now!!! Thank you!! I just finished making and eating this recipe. It’s so delicious! I ate the whole thing! And I want to make more! Any luck making these ahead of time? Or best served warm? Hi, Jennifer! The toast part is definitely best served warm but could be made ahead of time if needed. However, the avocado should be freshly mashed. Enjoy! 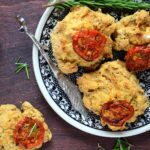 OMG….I made this yesterday and it was them ost incredible burst of flavors! 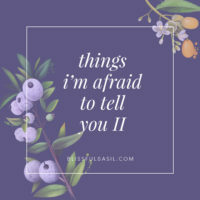 I absolutely loved it! Hope to see more simple recipes like this. Thank you a million! If I could have, I would have given it 10 stars! 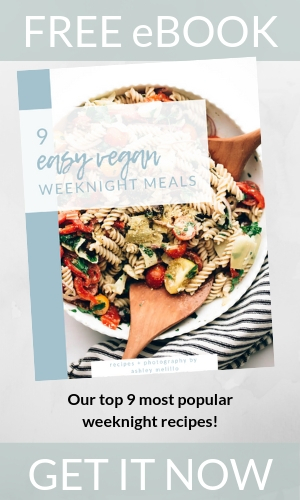 I am also sharing it on my fb page ‘Super Quick Plant-Based Recipes’ – they will love it AND your site! Thank you for sharing your sweet feedback, Shanasy! Thrilled to know you’re enjoying the recipe so much.